Former U.S. President George H.W. Bush was admitted to the intensive care unit at Houston Methodist Hospital on Wednesday to be treated for an “acute respiratory problem,” Bush’s spokesman Jim McGrath said in a statement via Twitter. 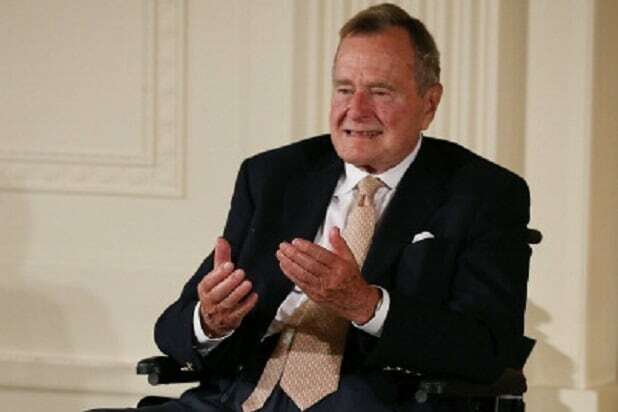 Bush’s wife, Barbara, was also admitted to the Houston Methodist Hospital on Wednesday, “as a precaution after experiencing fatigue and coughing,” McGrath added. Bush, 92, is currently “stable and resting comfortably in the ICU, where he will remain for observation,” McGrath added. McGrath’s statement Wednesday came shortly after reports that Bush was hospitalized over the weekend for shortness of breath. Bush did not plan to attend this week’s inauguration to president-elect Trump. In a letter to Trump, Bush informed the president-to-be, “My doctor says if I sit outside in January, it will likely put me six feet under,” McGrath confirmed Wednesday. Donald Trump is so unpopular with Hollywood that two talent wranglers told TheWrap they were offered ambassadorships in exchange for booking top singers. 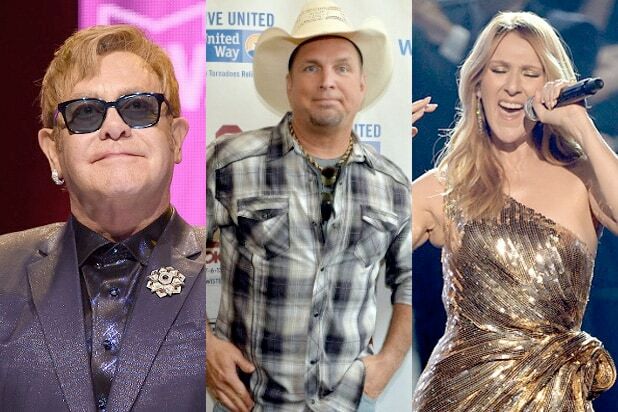 Here are some artists who have said publicly they wouldn't perform for the occasion. He may have quibbled when confronted by TMZ, but no, Garth Brooks will not be performing at the inauguration. The "Wicked" star got a little snarky when asked to comment on Donald Trump having trouble locking down Inauguration performers, telling Vanity Fair, "It's karma, baby." A rumor that turned out to be a joke from a journalist aside, no, the DJ duo will not be performing. Despite a Trump transition team member claiming on the BBC that the "Tiny Dancer" singer would be performing at a concert on the Mall to celebrate "the first American president in U.S. history that enters the White House with a pro-gay rights stance," nope. Not true. The operatic Italian tenor declined an offer to perform at the inaugural events, PageSix reported, fearing a backlash among his fans. The French Canadian hit-maker declined an approach from Trump ally and Las Vegas hotelier Steve Wynn to perform, TheWrap reported. The hip-hop giant may have met with the president-elect (and put off his own presidential bid until at least 2024) but Tom Barrack, head of Trump's inaugural committee, told CNN, "He is not performing at the inauguration." The "Passengers" and "Will & Grace" star and singer said he'd be willing to perform -- but only after "a lobotomy." “I just got call to perform at the Inauguration … I didn’t pick up and Blocked the number,” the rapper tweeted. Trump's team declined to confirm or deny. Gene Simmons told TMZ in December that the band had been approached about performing but declined -- in part because they would be touring in Europe at that time. Former "American Idol" finalist and Queen frontman told the BBC that he'd pass on playing the inauguration no matter how big the check that was offered. "I don't think I would take the money on that one," he told the BBC. "I don't think I'd be endorsing that." The actor and comedian will not only not perform, he also has strong words for anyone who does, saying they "should be ashamed of themselves." The "Patriot's Day" actor, who is also in a band with his brother Nat Wolff, did not mince words when asked if he would perform: "I’m not going to elaborate further because I know when to be tight-lipped, but no f---ing way." The Welsh singer-songwriter tweeted her decline of an invitation to perform on January 10, saying "a simple Internet search would show I think you're a tyrant. Bye." The HBO "Insecure" creator and star said in December she would have to be "'Weekend at Bernie'ed" to show up to Trump's inauguration. The British pop star also declined a Trump inauguration -- though she said she'd consider accepting if she was allowed to perform Billie Holiday's classic protest song "Strange Fruit." The DJ announced on Instagram on January 9 that he had been approached to perform, and he declined, saying: "I guess I’d DJ at an inaugural ball if as payment #trump released his tax returns." This Mormon Tabernacle Choir member made waves in late December by quitting the group rather than perform at the inauguration. Were the late iconic singer still alive today, he "would never support a bigot" by performing at Trump's inauguration, according to his daughter Nancy. After agreeing to perform at the inauguration, the legendary singer backed out of plans to perform “My Way” for President-elect Donald Trump. Anka insisted the decision is not out of protest. “End. Of. Story.,” Kelly added.